In recent years, falling foot traffic coupled with a rise in online sales have prompted art dealers to question the once-trusted gallery storefront model, which is increasingly seen as not only archaic but also financially unnecessary—if not completely untenable as urban rents soar. Yet that is not the case in Chelsea, New York’s commercial art hub for the past 25 years and one of the priciest neighbourhoods per square foot in the entire US. This fall, several area dealers are launching new and improved shopfronts, some of which represent their second—if not third or fourth—space within a half-mile radius. The frenzy of growth represents a small renaissance on the heels of several years of high-profile gallery closures in the area, spurred in part by the exhaustive commercial and real estate development on the city’s West Side. It is reasonable to assume that the cause of this incremental northbound migration toward the upper 20s on Manhattan’s West Side is linked to the greater Hudson Yards project. Indeed, Lehmann says that when the gallery opened its first Chelsea space on West 26th Street in 2000, “it was difficult to get collectors and visitors to walk even a few more blocks up” from the galleries clustered around 23rd Street. Filled with luxury high rises and ample amenities, including the Shed arts center due to open in 2019, Hudson Yards is the largest private real estate development in American history. Though 25% of the project’s residential units are required to be set aside as affordable housing by the city of New York, it is attracting a spectacularly wealthy clientele. For instance, rents at the One Hudson Yards apartment building at 530 West 30th Street, which opened in 2017, start at $5,400 a month; area condo prices command around $3,000 per square foot on average. Helpfully, Chelsea’s rents have dipped over the past few years after a period of rapid inflation that was quelled by a post-Hurricane Sandy market adjustment, Artnet News reports. This has led several dealers to capitalize on the below-market real estate rates in the hope of taking advantage of the influx of cash-flush foot traffic on the West Side. Taggart also moved his inventory from a storage facility in Long Island to a space across the street where he set up an additional private viewing room. He exclusively told The Art Newspaper that he would launch a third space dedicated to showing more contemporary art in the newly opened High Line Nine Galleria on 13 September. Younger and smaller galleries are moving into the neighbourhood as well. 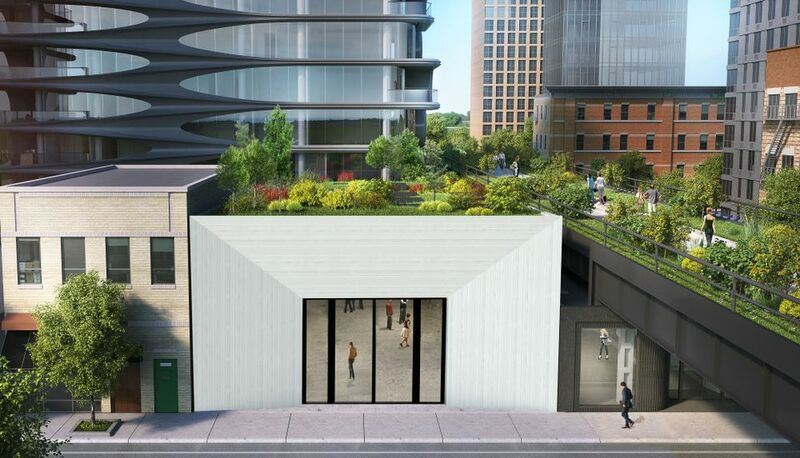 Brooklyn-based gallery Victori + Mo recently announced that it would move to Chelsea while Burning in Water gallery, opened in 2015, will join Taggart in the High Line Nine with two new spaces. Kasmin’s Olney, whose new space backs up to the High Line Nine, sees his own real estate developments as well as others as paving the way for the future of Chelsea, hopefully drawing visitors from Hudson Yards. “Projects like High Line Nine will surely change how people navigate the neighbourhood and draw more people into the middle blocks,” he says.